What a fabulous week it has been. It is officially summer for me now. After my 17 years of schooling and then 8 years of teaching high school science, the rhythm of the academic calendar is deeply rooted in my bones. So even though the weather is unseasonably soggy and gloomy, deep down inside I still know that- School’s…out for summer!!! To make the upcoming break all that much more sweet, on my last day of school I found out that my Sausage and Kale Dinner Tart won the contest for the Best Dirt Cheap Dinner on food52. What an incredible honor! I am a huge fan of food52. 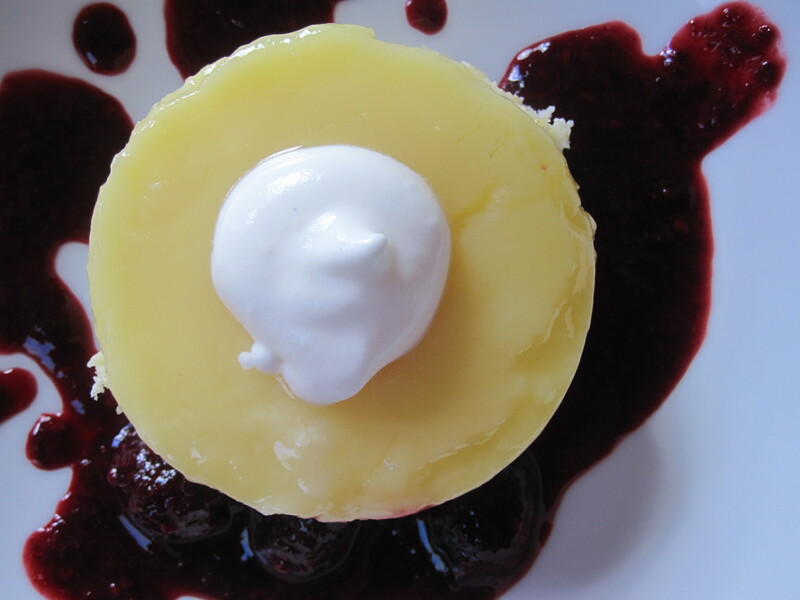 It is one of my go-t0 sites for great recipes and culinary inspiration from the many fabulous cooks that contribute to the site. What a great way to start the summer and kick off my serious cooking and canning season! As a celebratory meal, I made Roasted Garlic Lemon Chicken. I love how chicken is both a perfect special occasion meal, yet inexpensive and quick enough to be perfectly suited for a weeknight as well. 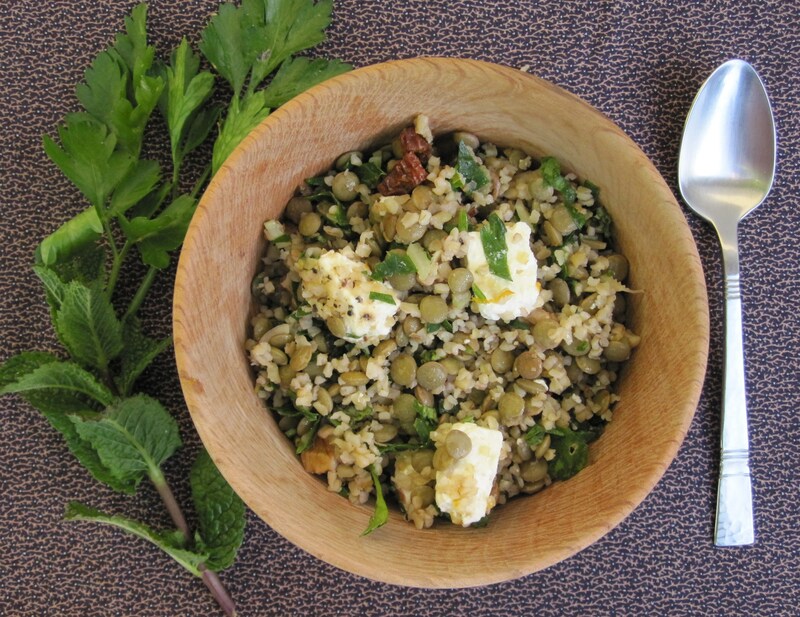 This particular recipe is a regular in our rotation. It is easy to adapt by changing the herbs, I call for rosemary here, but you could also use thyme, oregano, basil, or forgo the herbs altogether and add a touch of curry paste to the garlic mixture instead. 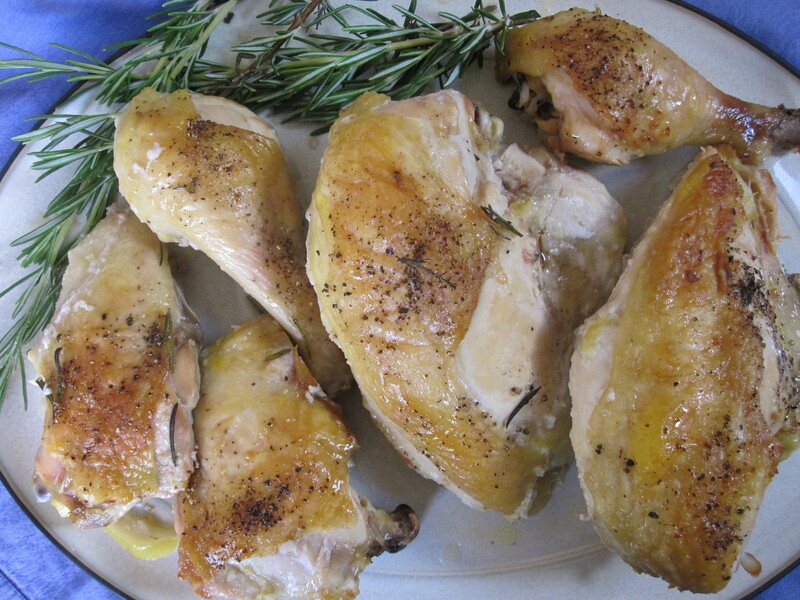 Roasted Garlic Lemon Chicken can be made with any pieces of chicken you prefer. The original recipe calls for chicken thighs. Since I often buy chickens whole and part them myself, I have always made it with a whole parted chicken. When arranging the pieces in the pan, I put the breasts in the center and dark meat pieces around the outside. All the pieces cook up perfectly! Preparing this meal is incredibly simple. Spread garlic paste over the chicken pieces and under the skin, then roast the chicken until the skin is browned and crackly, but the meat is super tender and moist. 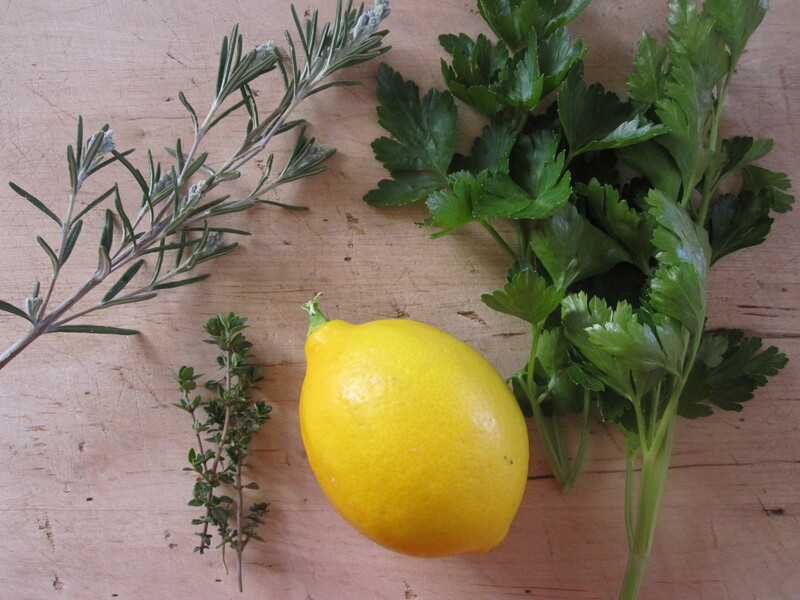 The herbs perfume the meat and the lemon roasts and caramelizes lending a rich, lemony flavor. Degrease the juices and reduce to make a flavorful sauce to pour over the sliced meat. Dress it up or dress it down, this chicken is great for any occasion. Rub the chicken pieces with the garlic paste thoroughly on both the outside and inside of the skin. Cover and let chill 2 hours to overnight. The longer you let it chill, the more flavorful it will be. Preheat the oven to 425 degrees and set rack in the middle of the oven. 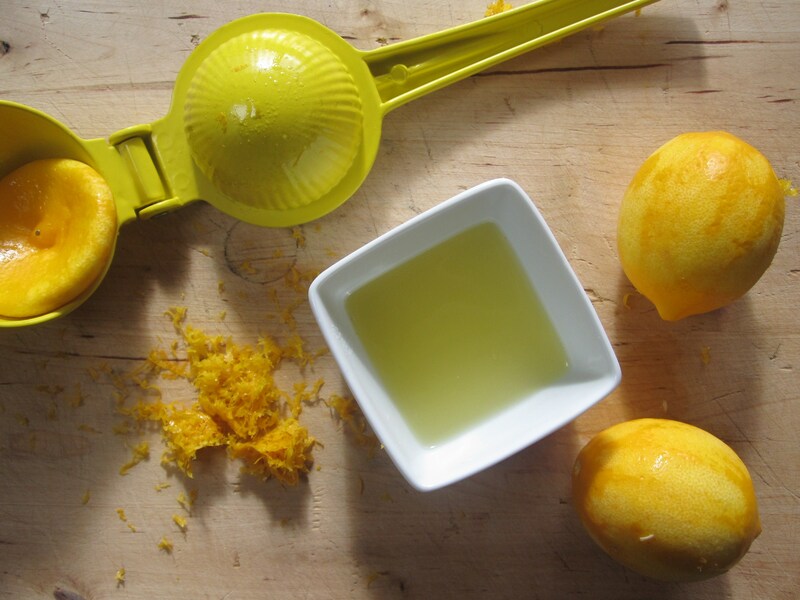 Using a 9 x 13-inch baking dish, lay lemon slices evenly over the bottom. 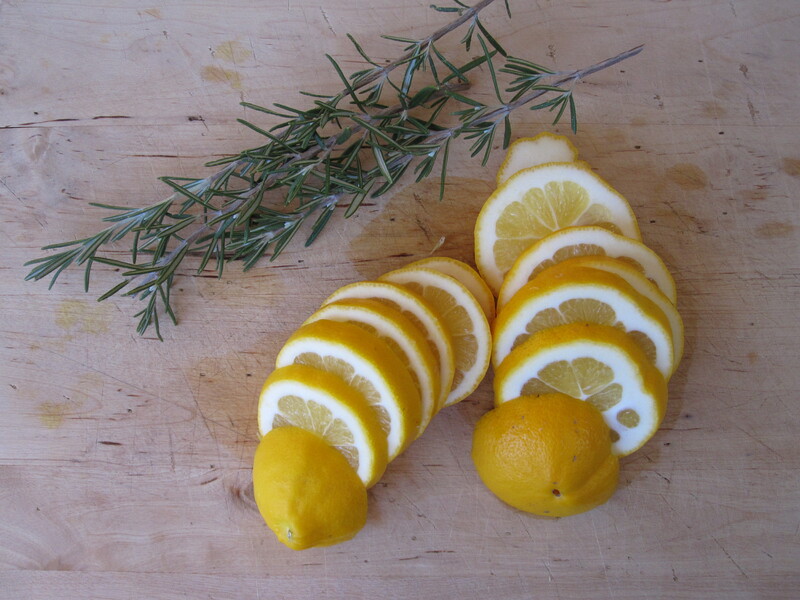 Arrange rosemary sprigs over the top of the lemon and chicken pieces, skin side up, on top of the rosemary. The breasts should be in the center since they cook the fastest. Arrange the dark meat pieces around the outside. 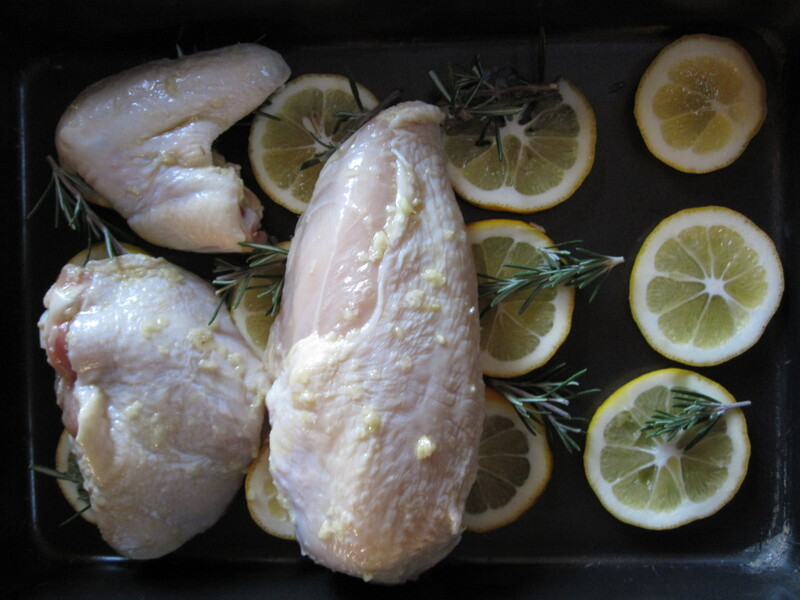 Bake the chicken for 45 minutes or until the skin is browned and crisp and the meat is cooked thoroughly. Transfer the chicken pieces to a platter and cover loosely with foil. Strain any accumulated juices into a small saucepan. Skim fat from the top. Heat remaining juices over medium to create a simmer. Add white wine and black pepper to taste. Simmer until sauce is reduced by 1/3. Serve meat as whole pieces or sliced with the flavorful sauce. I often speak to people who have never canned food and they express their concerns. Some people discuss worries about the safety of home canning, others suffer from a lack of confidence about how to successfully can food , and still others think they do not have time in their busy lives to preserve the bounty of the seasons. It is to all of those skeptics that I dedicate this recipe. It is a perfect entry-level canning project: almost zero safety concerns, easy to do if you follow the basic instructions, and very quick to put together. 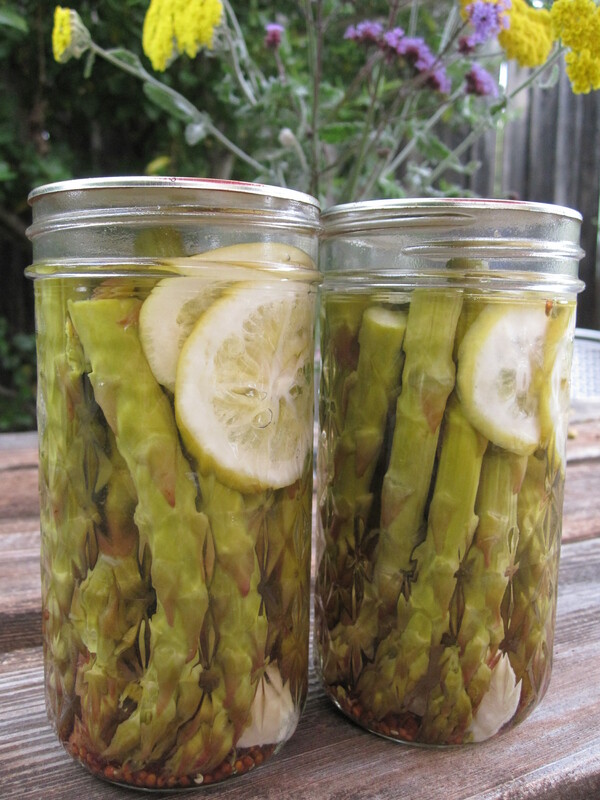 And so here is my challenge to all those who have meant to can, but have not: Try this recipe now, while the asparagus is fresh and inexpensive. Fill your shelf with these beautiful jars. Feel the satisfaction of putting up your own food. Let your experience bolster your confidence for more canning projects through the summer. Heed the call of the jar! Here in Sonoma County, California, we have more than our share of vineyards. For good or for bad, the apple orchards and more diversified crops have given way to hill after rolling hill of vineyards. Now that we are well into May, the vineyards are awash with green as the grape vines put out their leaves. 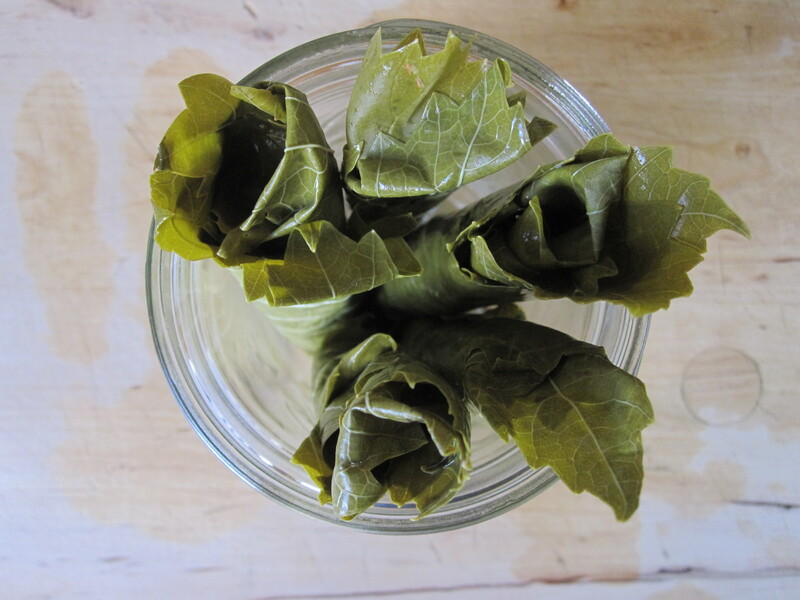 So though the grape harvest is still months away, this is the ideal time to harvest grape leaves. 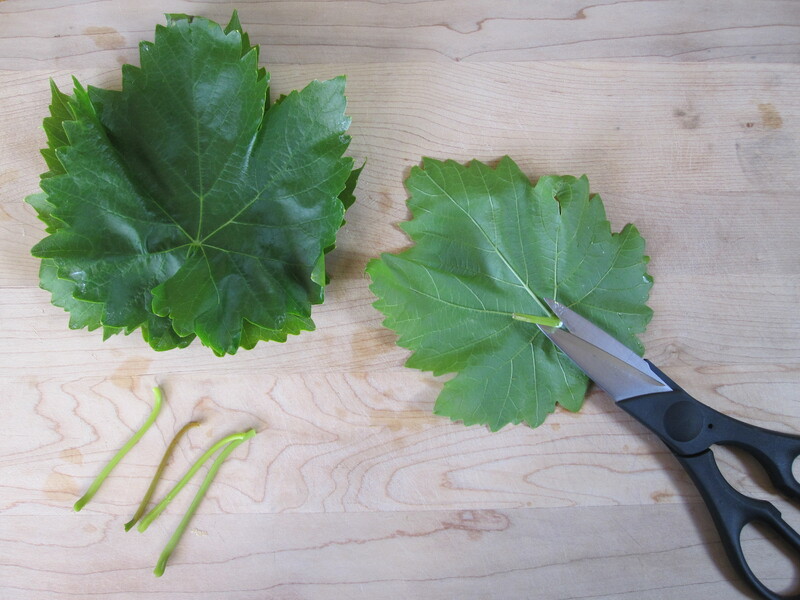 Harvest leaves from grape varieties that produce smooth and not fuzzy leaves. The leaves pictured are from a Thompson grape vine, but there are many, many possible varieties. Choose leaves that are large (the size of your hand) and not damaged by sun or insects. This time of year they are fresh, tender, and supple. Later in the season they will turn tough and not be as suitable for eating. Take care to ensure that you are not collecting leaves from vines that have been sprayed. 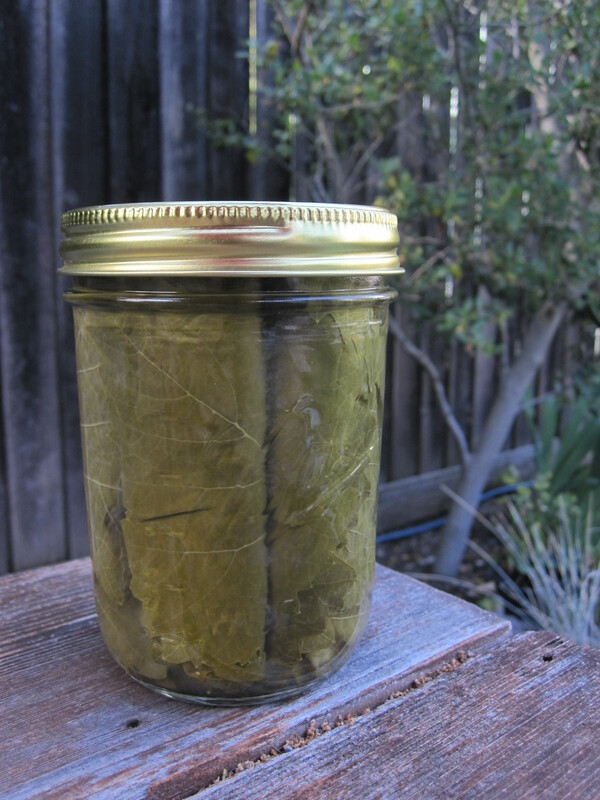 Preserving grape leaves could not be simpler. Trim the stem from the leaf. Blanch the leaves in salt water, roll them up in packs of 5 leaves, and pack them upright in a lemon and water solution. Jars can be processed for shelf storage or kept in the refrigerator until you are ready to use. 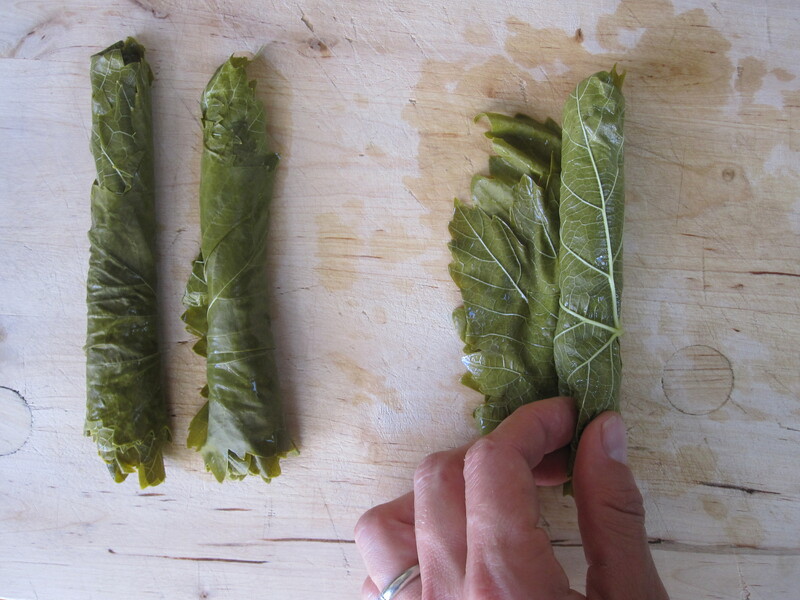 I used mine to make dolmas! Here is the recipe. Last weekend, I took my first cooking class! It was a soft cheese making class taught by Mary Karlin, an expert in artisan cheese. It was such fun to spend a day with other hungry folks trying to expand our culinary repertoire. One of the cheeses we made was chevre. It is incredibly easy to make by simply adding culture to warm goat’s milk and allowing the mixture to sit overnight so the curd can form. I’ll admit my product wasn’t exactly as I dreamed, it was a bit too dry and crumbly instead of creamy. Still, it was delicious. 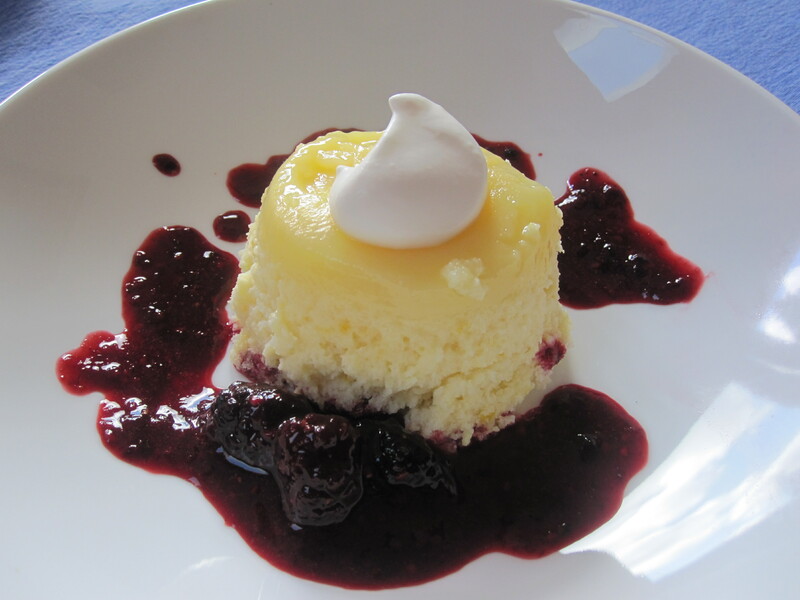 I love the tangy creaminess of chevre. I often serve it as an appetizer with caramelized onion relish or pepper jelly. 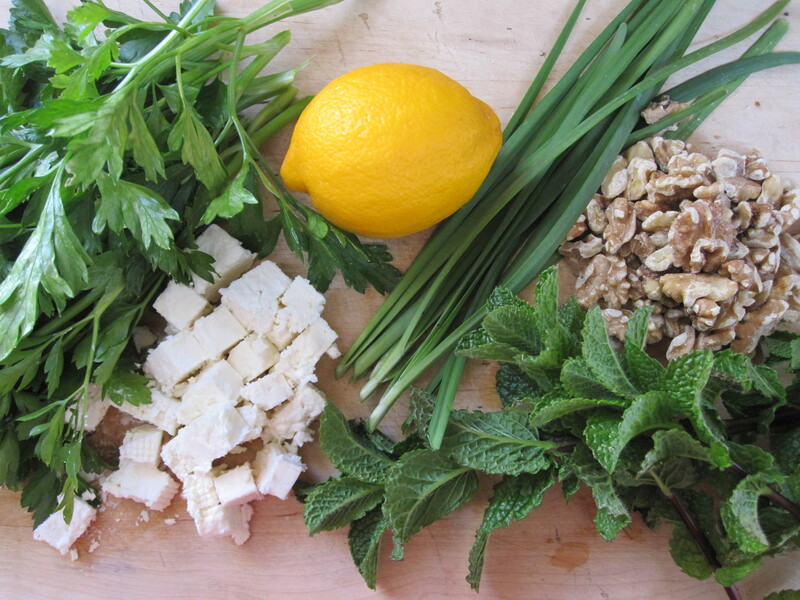 Another favorite preparation is simply rolling the log in fresh herbs, lemon zest, and ground pepper. It is the perfect last minute appetizer because it is quick, inexpensive, and delicious. It looks like something really special, even though it is incredibly easy to create. Using fresh herbs for this recipe is crucial. Fortunately, I live in a climate where my garden provides fresh herbs year round. The following recipe is more of an idea and guideline than a recipe to strictly follow. The precise mixture of the herbs is not crucial, but I like half of the herb volume to be parsley and the other half to be more intense herbs like thyme, rosemary, oregano, and the lemon zest. 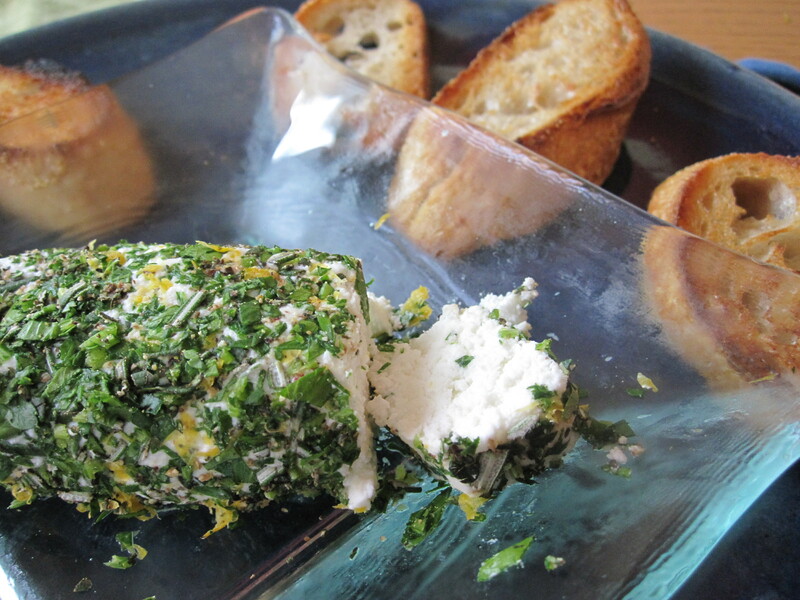 The Fresh Herb Chevre is delicious with grilled or toasted bread. 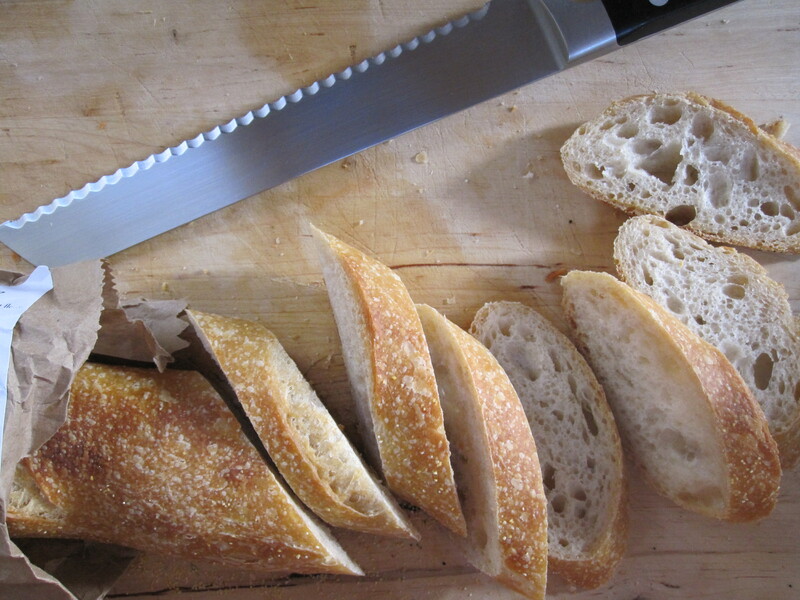 I slice the bread, brush or spray it with olive oil, and then grill or broil until toasted. 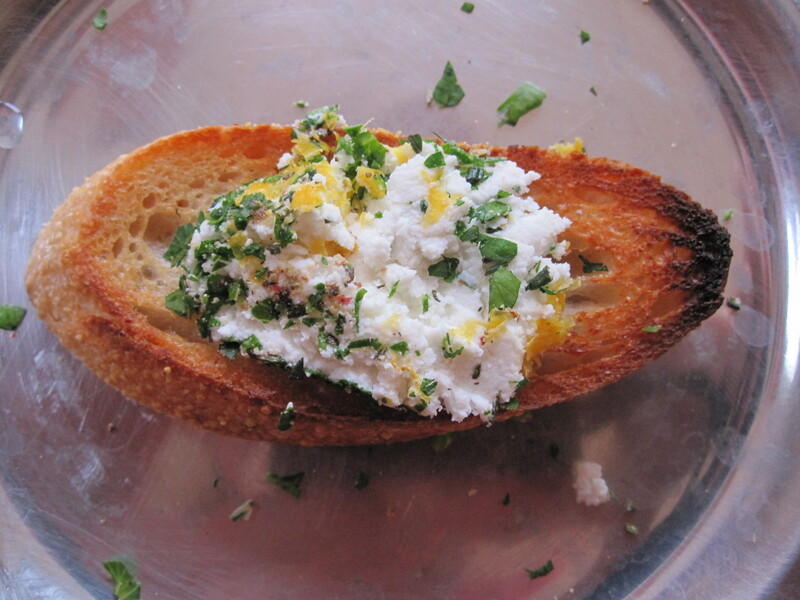 Guests serve themselves slices of the herb cheese on the toasted bread. Mince herbs and zest. Mix thoroughly with black pepper. 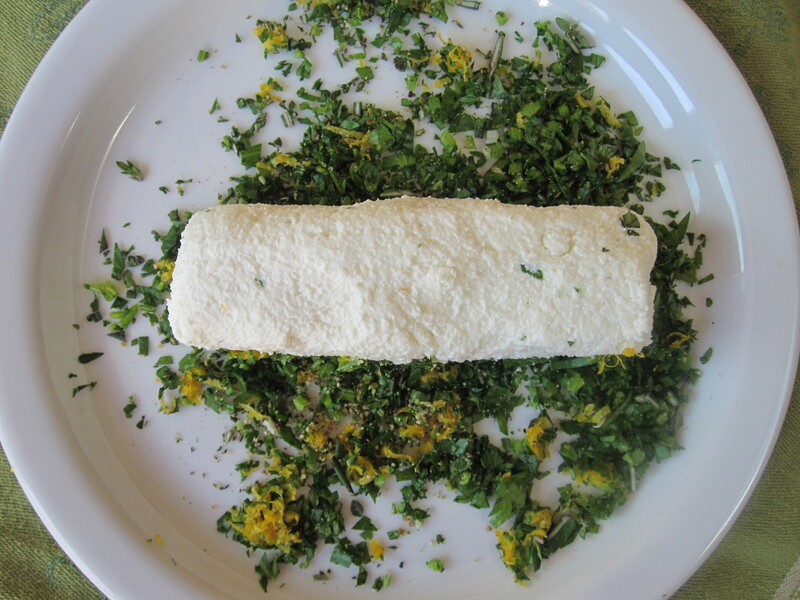 Roll chevre in herb mixture. Serve with toasted bread.